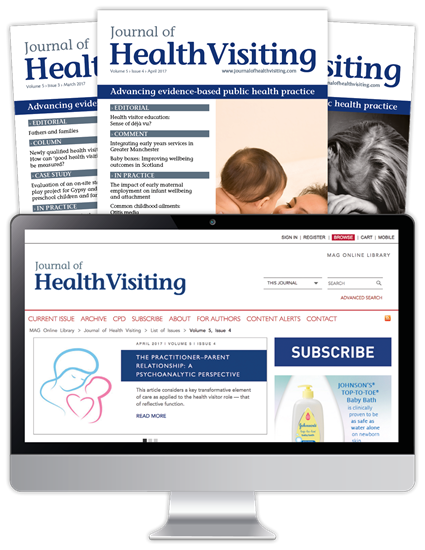 Journal of Health Visiting is the leading clinical resource for health visitors. Every month it publishes original research, clinical reviews and practical guidance, sharing the latest best practice in public health. It also provides an online archive containing every article published by the journal since 2013.